1. The patient is expected to provide, to the best of their knowledge, accurate and complete information about their present complaint, past illnesses, hospitalizations, medications, and other matters relating to their health. 2. 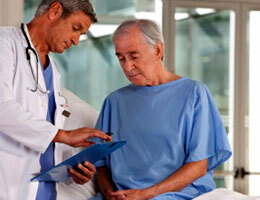 The patient is expected to cooperate with the planned care and treatment at the Center. 3. The patient is expected to be aware of and sensitive to the needs of other patients, and respectful of the property of other patients. 4. The patient has the responsibility to meet financial obligations to the Center and the physician for the services rendered. 5. The patient’s activities must be consistent with the policies and procedures of the Advanced Surgical Institute that relate to patient care and conduct. The patient and any accompanying members are expected not to engage in any activity which is in violation of those policies and procedures. 6. Any patient that does not follow the plan of care prescribed for their surgical procedure, or that does not adhere to these Patient Responsibilities, may be dismissed from care at this Center.